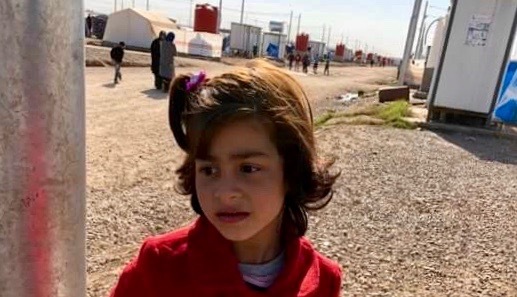 Zahra is 7 years old and lives with her mother and brother in the Khazir camp 25 kms east of Mosul. Zahra cannot hear, is not responding verbally and is becoming withdrawn which is impacting her education. She has been referred to Erbil twice and each time the doctor has said that she requires a hearing aid. Zahra’s father left the family and is living in Mosul and will not support the family. Her mother has no income and is unable to pay for the hearing aid. Additionally, Zahra’s brother has been injured and requires leg surgery. I will post a separate blog about her brother once we know more details and cost of his surgery. The cost of the hearing aid will be a one off cost. A cheap hearing aid will cost USD350 although it would be fantastic to purchase a good hearing aid but the cost is USD2200. Please help to restore the gift of hearing to Zahra by donating towards a hearing aid. Thank you for taking the time to read Zahra’s story.